Cloud computing company Salesforce is reportedly working on a blockchain product. If all goes well, the San Francisco-based company might even announce the newest addition to its services during Dreamforce, Salesforce’s yearly customer conference. The alleged blockchain product was revealed during an interview conducted by Business Insider’s Julie Bort with both of Salesforce’s co-founders Parker Harris and Marc Benioff. The interview touched on various topics before touching on the company’s foray into blockchain technology. Benioff said that the more he thought about the technology, the more it cemented his belief that Salesforce can utilize blockchain. A sudden epiphany had him realizing a way to put blockchain and cryptocurrencies to work in the company. 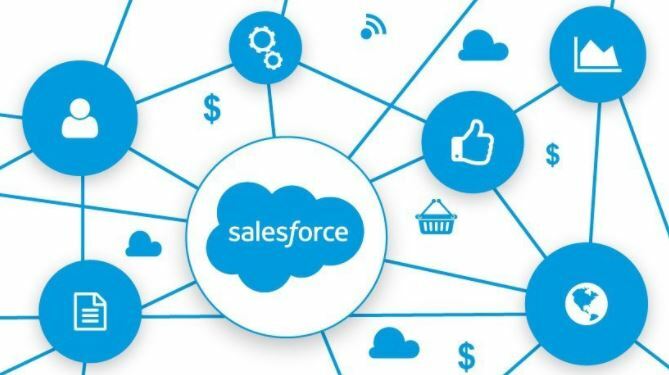 Salesforce’s chief is hoping that they will be able to roll out a “blockchain and cryptocurrency solution” by Dreamforce. The company’s yearly customer conference is set to be held in the City by the Bay from September 25 to 28. Blockchain is an electronic ledger that is utilized to track digital currencies like Bitcoin. However, it can also be used in a more general role. The technology, which is becoming increasingly popular, can also track anything of value and record transactions in an irrefutable way. A lot of states are already legitimizing blockchain technology. Arizona, for instance, has amended a bill that validates data stored and shared on blockchain.